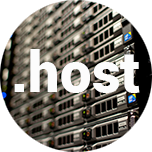 Web hosting resellers, do you have a .host domain name? New domain name extensions have been available for several weeks. These new features are a great way to create short, efficient and easy to remember domain names. What could be better than a .help extension for a knowledge base or a FAQ? The new extensions allow you to categorize your business and your activity. It would be too bad to miss out on these ways to improve your branding! Among these new extensions, .host is one of the most interesting ones, especially for web hosting providers. You are a web hosting reseller? 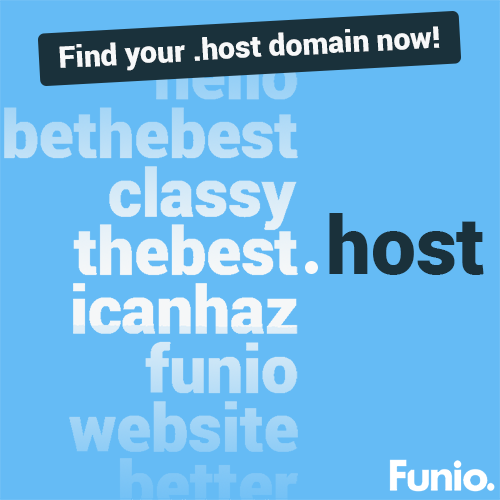 What’s your domain name? A .com or .net extension does not provide the best indication of what your business is all about. With a .host extension, there’s no more confusion! Be clear and claim your expertise in your domain name! Whether you are a hosting reseller, a data center, a cloud hosting provider or if you host applications, the .host extension should help you be more competitive and reinforce your branding. This extension will give you great creativity when it comes to choosing your domain name. Better visibility for search engines… and for your clients! Because it explicitly shows what you do, a .host domain name improves your search engine ranking. Therefore, it makes it easier for your potential clients to find you online. In other words, a domain name with a .host extension must be a part of your SEO strategy. So, what about joining the .host community? This domain name extension is the perfect complement to your reseller plan!